Lisbon Surf Villa is located in the beautiful Costa de Caparica beach just 0.5 km from one of the bests surf spots. The neighborhood is peaceful, welcoming and with a couple of nice restaurants just around the corner. The city center of Lisbon is a short 20 min drive away. The Villa has a large private pool!! Surf Lessons for beginners, intermediate and experienced surfers. 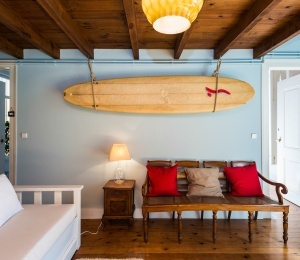 Lisbon Surf Villa is located in São João da Caparica just 7 min walk from one of the best surf spots in the region. We are located about 20 min drive from Lisbon International Airport. The Costa da Caparica is the closest beach from Lisbon city center and a popular destination for surfing as there are always constant recent waves that roll in from the powerful Atlantic Ocean. These waves are suitable for beginners, intermediate and experienced surfers, Due to Costa da Caparica location NW , W and SW swells good waves can be enjoied. The Costa da Caparica is an amazing surf spot with several beach breaks suitable for all surfing levels. We provide private and shared rooms for our guests. The House provides living area, kitchen, garden and swimming pool that can be used by our guests. Wake up have breakfast and get ready to Surf. After taking breakfast ( included in our daily rates) you can get a transfer to one of the surfing locations that we provide and start Surfing. After the morning surf session you can have lunch in some of the near by restaurants at the beach and relax for the afternoon session. 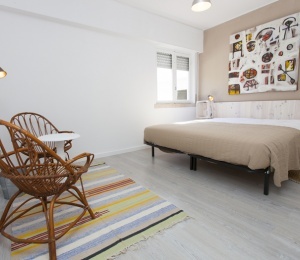 In the evening the House provide all the amenities for you to have a end of day swim and cook your dinner if you want , after you are ready to go out for a drink and listen to some music in Costa da Caparica or go out at night in Lisbon. We provide: Two private rooms (Blue and Yellow) ,Two shared Rooms,Extra bed or children crib if needed. As a Special Gift ... The Villa has the largest private pool in Caparica!! 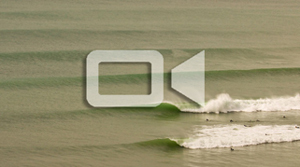 Costa da Caparica in Lisbon is an exposed beach break that has consistent surf and can work at any time of the year. Offshore winds are from the east. Tends to receive a mix of groundswells and windswells and the best swell direction is from the west. Waves at the beach break both left and right. Good surf at all stages of the tide. A popular wave that can get growded. Big Swell Season from November till March , small swell season the rest of the year. You can reach any spot of the coast in a short drive or riding a bycicle. SURFINN © 24-04-2019 02:25:22. ALL RIGHTS RESERVED.